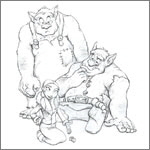 CLEON is a german publishing house specialising in children’s and young adult’s books, which are described best by fairy tale / adventure style. As editor and licenser of the brand 'Das Unkrautland', CLEON Publishing became one of the most successful newcomers of the past years. The constantly growing fan base loves above all the elaborate, fine stories and the atmospheric graphic artwork - both characteristic of CLEON and ‘Das Unkrautland’. In addition, the cooperation with notable companies in the game and film industry contributed to the fact of a broader publicity. The following pages will present and inform you about new releases and our most popular titles including reading samples. A true milestone! The new book Die Geisterlinde decorates the recent cover of the KinoNews magazine. In addition to that you'll find a great article, lots of pictures and information about the mysterious and wonderful story. There is a new saga ... with a new title, new secrets and lots of old fellows. More HERE. The bizarre spooky world has reached South America. The first volume of the saga holds the Spanish title “El Pais de la Maleza - En busca del hada de la niebla” and it is being published by Panamericana. 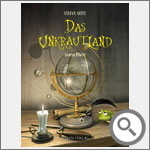 Now the Unkrautland-Picturebook is also available as eBook-release. 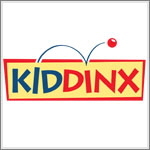 Publisher is KIDDINX, the home of Bibi Blocksberg and Benjamin Blümchen. Success means - to realize dreams. Books, jigsaw-puzzles, boardgames and a lovely onlineworld full of riddles and secrets. Within the last ten years an entire cosmos has been built for the spooky realm of Unkrautland, which is enlarging continiously. We want to bring special regards to our partners, and not to forget, to all our readers that supported us realizing the dream. 4 months after the first edition of softcover Vol. 1 was released, CARLSEN needed to reprint. The third printrun is actually available. Starting from Nov. 13th you will find Unkrautland products besides Lego building sets and Disney DVDs in the display cabinets of German mega cinemas. These items are bonus articles for frequent moviegoers. 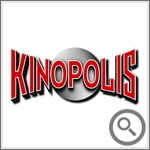 Our advice for the ones of you who do not own a Cine Card .... start collecting bonus points now! 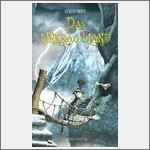 Panamericana Publishing purchased the license for the Spanish edition of the saga of 'Das Unkrautland'. 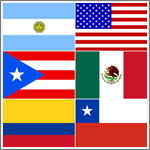 Distribution is planned for the U.S., Puerto Rico and Latin America. On Oct. 31st, it will happen again. Just in time for Halloween, we invite all our fans and fans-to-be to participate in the new prize draw which features a tricky riddle that needs to be solved. What you can win: a limited number of Unkrautland artprints, framed and signed by the author and artist Stefan Seitz. Wishing you best of luck and much fun! With the Latvian edition of 'Das Unkrautland' ("Nezalu Valstiba") the first foreign copy was released by JUMAVA publishing. The book comes as a softcover version and comprises 272 pages. Since a few days, Vol. 2 of the Unkrautland-triloy "The secret of the Black Lodge" is also available in softcover version and as e-book. The release of Vol. 3 "Peaks of Sulphur Pinnacles" is announced for April 2014. 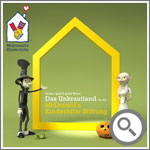 In cooperation with McDonald's Inc. an Unkrautland prize draw was brought to life, which will be displayed in all participating restaurants starting November 25th, 2013. 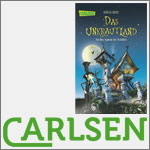 Carlsen Publishing takes part as a sponsor and provides 66 copies of the softcover edition of "Das Unkrautland - Vol. 1". Thanks to all for the great support. 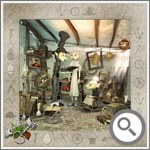 Range the Gloomyforest and be the first to discover the stolen goods. That's the task, all players of the Unkrautland-Tabletop-Game have to solve. Charming graphics and a crisp playing-concept are providing a lot of fun. 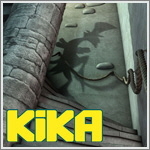 The release of the game will be in 12/2013. Cleon, the publisher of 'Das Unkrautland', donates 500 copies of Vol. 1 to Ronald McDonald House Charities. We wish the kids a speedy recovery, all the best and much fun with the books. On May 5th, there was shown a wonderful TV-report of 'Das Unkrautland', initialized by RBB and KIKA. The program was acutely nice arranged and we give our thanks and compliments to the editorial staff. For the ones who have missed it: next date will be Nov 3rd, 1.10 p.m. Provided with fine details and a hight up to 6,5 inches the first series of Unkrautland Action Figures have been manufactured of polyamide plastic. Each character is finished with a grounding and offers to be easily painted with usual modeling colours. All the Action Figures are preproduction models and actual not available commercially. 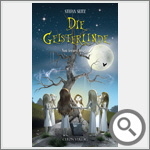 The mystery proceeds… For the first time – following three “Unkrautland” novels - with ‘Anura’s Gate’ we present a picture book containing a very special short story in combination with wonderful and detailed graphic art work. 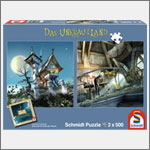 Six of the very much liked Unkrautland graphics are now placed on jigsaw puzzles published by the German company Schmidt Spiele. As well as the books also the puzzles hold a riddle which can only be solved with much alertness. In addition to the softcover licenses CARLSEN Publishing also becomes license holder of the foreign rights of Unkrautland Vol.1&2. The new Unkrautland-pricedraw is placed on McDonald's Tablesets. We say Merry Christmas to all guests at McDonald’s in the southern regions between Munich and Salzburg. And of course ... enjoy your meal! Vol. 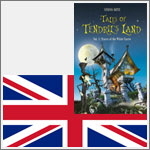 3 of the Unkrautland Book series available now! Finally! We are happy to present Vol. 3 of the mysterious saga Unkrautland. Will Primus and Plim be able to solve the grand secret of former ages and will they master the adversities they have to face in the ice cold mountain regions? Surely, it will be another thrilling adventure! Unkrautland Vol. 3 is available now. 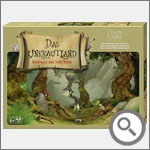 Very soon there will big-size jigsaw puzzle-sets showing 6 of the loved Unkrautland graphics. Each puzzle box will also include a booklet containing a tricky riddle. 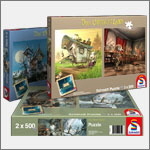 The German manufacturer Schmidt Spiele buys the rights for board games and puzzles and plans a first launch of 3 puzzle boxes for September 2012. With CARLSEN Publishing we could convince and win one of the biggest German publishing houses. 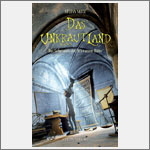 The release of the softcover version of Unkrautland Vol. 1 will be in March 2013. The Hardcovers will still be published and distributed by CLEON. Due to numerous letters and inquiries, Volume three of the Unkrautland saga ‚Peaks of Sulphur Pinnacles‘ now includes black-and-white line drawings. 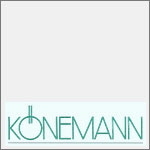 Since January, Unkrautland books are also available at Koenemann’s – as well as at other leading book wholesaler’s KNV, Libri and Umbreit. With this, our books are in stock and over-night deliverable. 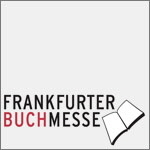 As in 2009, again CLEON Publishing is present at this year’s Frankfurt Book Fair. Everyone who is interested to take a look behind the scenes, we cordially invite to visit us in Hall 3, Booth H337, October 6th – 10th. Since a few weeks there exists an English version of Vol. 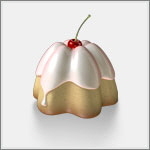 1 – Traces of the White Faerie. 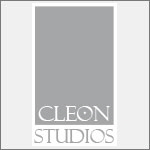 If CLEON will be publisher or if there will be a cooperation with an English or American Publishing House has not been decided yet. Fans and readers have been waiting quite long for the sequel of Vol. 1. Eventually, the saga continues. As of now, Vol. 2 with the title ‚The Secret of the Black Lodge‘ is available online and in all bookstores near you (in german language). The constantly increasing needs for graphic works in the realm of 3D and animation leads to the foundation of CLEON Studios. Atmospheric illustrations for CLEON publications as well as computer visualizations and photorealistic works for architects and developers are likewise created by CLEON Studios. 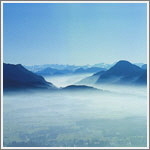 CLEON moves from Baden-Württemberg to Bavaria. Bigger office spaces in a central location of Rosenheim offer a charming working environment. Please note the address change in our imprint.